Brian Jonestown Massacre (US) see: Samples etc. Edie Brickell shot to fame in the late '80s with the New Bohemians, leaving after two albums and marrying Paul Simon two years later. 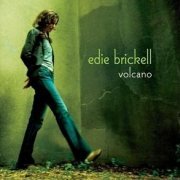 After her solo debut, 1994's Picture Perfect Morning, 2003's Volcano is only her second album on her own, and is pretty much what you'd expect; laid-back, acoustic-based singer-songwriter stuff with the occasional jazzy edge, not a million miles from an updated version of her husband's work in the '70s. To be honest, most of it slid by me without really impingeing itself on my consciousness until the very last track, What Would You Do, which features probably the best lyric and tune on the record; it was certainly the only one that made me sit up and take any notice. Mellotron on the title track from Charlie Sexton, with a nice, real-sounding string part, though that's that, I'm afraid. After another New Bohemians record and Edie's collaboration with hubby's son, Harper, as The Heavy Circles, her eponymous 2010 release is business as usual, better tracks including 2 O'Clock In The Morning and It Takes Love. Again, I find her slower numbers work better than the upbeat stuff, but perhaps that's just me. Sexton returns on Mellotron, while David Boyle adds Chamberlin, with cello, flute and string parts on It Takes Love, although it's near-impossible to untangle the sounds enough to work out what plays what. So; reasonable enough albums, with one decent tape-replay track on each, if a little unexciting, but then, that's probably not the point. I'm sure they're an awful lot better than hubby's disastrous (if well-meaning) Capeman project, anyway. 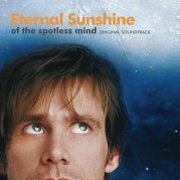 Bright Eyes (US) see: Samples etc. 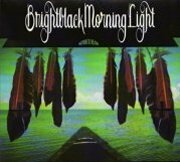 Are Brightblack Morning Light 'slowcore'? 2008's Motion to Rejoin (apparently recorded using just solar power) is one of the slowest, most laid-back (in a very non-MOR kind of way) albums I've heard in a while. Some people will say, "Muted beauty", while others are more likely to go for, "Dreary old tosh"; I'm not quite sure where my loyalties lie, although I had considerable trouble engaging with the record in any meaningful way. Maybe it should be ten minutes shorter? It does seem to go on forever, doubtless due to its sluggish pace. 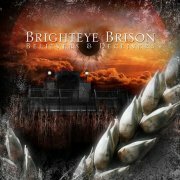 Brighteye Brison are a newish Swedish prog outfit, taking their influences from several areas, including the 'modern prog' of Spock's Beard et al., '80s neo-prog and the 'intelligent pop' of the Beatles/Beach Boys, with hints of Saga and various widdly guitar merchants in places, too. Less Änglagård than A.C.T, anyway. 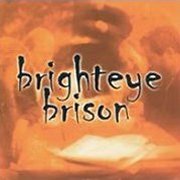 While it has its strong points, Brighteye Brison has several failings, too, not least the vocals, which are not only not very good, but frequently out of tune, particularly in the harmony sections. The quality of the material varies wildly, with many impressive moments subverted by mediocrity; defeat all too often snatched from the jaws of victory. Änglagård's Mattias Olsson was involved on the recording side, although I believe Brighteye's keyboard player Linus Kåse actually played the brief Mellotron parts on the album. All I can hear are a brief string part in Music Of The City, part three of the lengthy One Year Alone, ending in a pitchbend so drastic that it sounds like someone's leaning on the flywheel (is that you, Mattias? ), and another brief burst of strings in A Car. The faint, background choirs on part four, My Spirit Will Speak, are more likely to be Orchestron, which I understand Mattias also provided for the band's use; to my knowledge, they took the largely-completed album to his Roth-Händle studio for 'treatments'. 2006's Stories is a lot better than their debut, which isn't to say it's that good, just better, with tracks of the quality of Patterns or All Love being slightly scuppered by a top-notch IQ impersonation on We Wanna Return and an irritating tendency to border AOR and/or generic neo-prog territory too closely in places. The album isn't overlong as such, but slicing a few minutes of unnecessarily-copycat material might have both tightened the album up and improved it. Kåse's 'Tron use is considerably greater than on their debut, with all but the album's two shortest tracks featuring it somewhere. You can hear the strings clearly at the end of Patterns, and there's a nicely upfront flute part opening Isolation, while Life Inside doubles 'Tron church organ with choirs, to pleasing effect. I presume that's 'Tron cellos on All Love, with all other highlighted tracks tending to feature strings and choir. Believers & Deceivers is another slight improvement, but I wonder if the band have peaked, or whether they're happy with their uncommercial 'commercial' symphonic direction. In fairness, this may have been what they've been aiming for these last few years, and it isn't actually bad at all, just a little... safe, despite two very lengthy tracks. Two short(-ish) ones open the album, sounding like the better end of Stories (and is the Pink Floyd lyrical reference in After The Storm deliberate? ), before they get stuck into the long-form stuff. The 20-minute The Harvest isn't bad, but is rather outclassed by the near-35 (! )-minute The Grand Event, which is probably the album's four star catalyst. The vocal gymnastics near the beginning pinpoint the Spock's Beard influence perfectly; even the title's reminiscent of some of their epic efforts, and musical nods towards Gentle Giant are just as likely to be via The Beard's own appropriations. Reasonable amounts of 'Tron, although After The Storm is completely clear of it, and The Grand Event goes for anything up to ten minutes at a time with no 'Tron input, although there's a lovely Theremin part at one point. 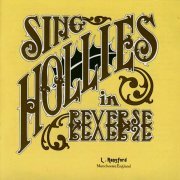 By and large, we're talking strings and choir again, although brief bursts of flutes and church organ appear on occasion, this time from Per Hallman. 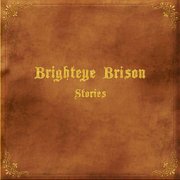 As far as Brighteye Brison itself goes, it certainly has its moments, but it's just too 'bitty' overall to really engage the listener, or at least me. Practically no obvious Mellotron, either, though knowing Mattias, there could well be some 'Tron wineglasses or Hammond hidden away somewhere. 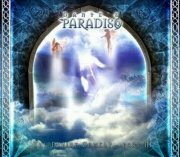 Their two subsequent efforts map a steady improvement, although whether or not the band will ever reach 'classic' status still remains to be seen. Brighton MA (US) see: Samples etc. Brimstone Solar Radiation Band (Norway) see: Samples etc. 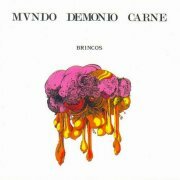 Like so many of their contemporaries, Los Brincos started out as a mid-'60s beat group, shifting into prog/psych realms for 1970's Mundo, Demonio, Carne, also released in an English-language version as World, Devil, Body. It's a rather mixed album, veering between its lengthy, masterful title track and the excellent, eastern-ish Kama-Sutra to the Spanish psych/pop of Vive La Realidad, the rock'n'roll of Jenny, La Genio or the balladry of Esa Mujer, although it mostly falls on the side of 'worthwhile'. Oscar Lasprilla plays keys, including Mellotron, with a string part on the lengthy title track, background strings on Carmen and more upfront ones on Kama-Sutra, although the strings on Esa Mujer are real. This is an unexpected yet welcome find, far more sophisticated than it has any right to be, really, with three definite 'Tron tracks to boot. So where the hell did they find a Mellotron in Spain in 1970, anyway? Known primarily as a sideman to the stars, Brion apparently has a long-running residency at the Largo, in L.A., where no two performances are ever the same, usually including his instrumental setup. Meaningless appears to be his first, long-overdue solo album, revealing him to be a deft writer of intelligent pop songs - rather like many of his clients, then. All the usual influences apply - you know, Beatles, Beach Boys, Big Star, all the B's; it's hard to pick out highlights, but Her Ghost and the lengthy Voices are particularly impressive. Brion has a decent enough voice, although it's his playing that really stands out, with the bulk of the instrumental work emanating from his fingers, with the remainder coming from various Famous Friends. 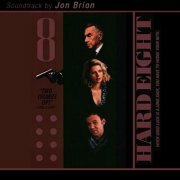 Brion has also contributed to several film soundtracks and various artists efforts, including 1995's Sing Hollies in Reverse and the soundtracks to Eternal Sunshine of the Spotless Mind and I ♥ Huckabees, both from 2004. Links to full reviews are below; suffice to say, he does a good job on all, writing the entire score for the latter. 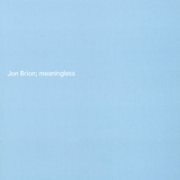 So; Meaningless is an excellent little album, assuming you like the style, and lovely Chamby work on a handful of tracks. Buy, I think. Californian Paula Brisker's Narrow Road is a passable Americana-flavoured pop/rock album, relatively inoffensive, while simultaneously rather dull, at its best on Little, Fly and Churches Over You. One of those albums about which it's very difficult to find anything much to say at all, possibly defining the term 'mediocre'. Rami Jaffee plays Chamberlin, with chordal flutes on Your Love, alongside real cello, pre-dating his abandonment of genuine tape-replay, by the sound of it. Seriously not worth the effort for some 'yeah, whatever' Chamby use, though. 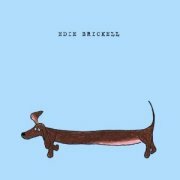 Chuck Brodsky (US) see: Samples etc. 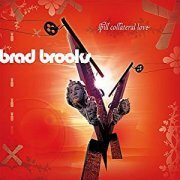 Brad Brooks' Spill Collateral Love sits at the baroque end of powerpop (thanks, Powerpopaholic), shifting between good, but slightly generic material (Lathered In Cream, The Loon Of Altitude, The Sonic Twins) and a more, well, baroque style (opener Love On My Sleeve, Manic Tourist, Pleading Amnesia), probably at its best on The Loon Of Altitude and Pleading Amnesia. Criticisms? The album's too long, partially due to several overlong tracks clustered near the beginning. Matt Henry Cunitz plays his own M400, with background strings and cellos on Love On My Sleeve, all other strings parts being real. Worth the effort? Yes, I'd say; despite the album's mildly schizophrenic approach and excessive length, there's barely a bad track here.